Both the International Monetary Fund (IMF), the Financial Secrecy Index and the Organisation for Economic Co-operation and Development (OECD) has designated Cook Islands an offshore financial centre. Cook Island however isn’t your standard offshore banking haven. Instead, its focus is on trusts rather than on standard banking accounts. In Cook Islands, international trusts are regulated by the Cook Islands International Trusts Act and this law goes a long way to protect funds. This has given Cook Islands the reputation of being a “debtor’s paradise” since Cook Island trusts are utilized to shelter assets from creditors and foreign legal authorities. Cook Island trusts are also used for tasks such as estate planning and gaining access to foreign investment markets. There are also those who put assets in a Cook Island trust due to fear of their native country imposing capital controls in the future. The Cook Islands does not require bank accounts, real estate or other assets in the fund to be physically located in the Cook Islands. It is very common for the bulk of what a trust owns to consists of a Cook Islands LLC. The LLC can then hold bank accounts, brokerage accounts, custodial accounts, etc in other jurisdictions. The investor can be the Manager of the LLC and retain hands-on control without having legal ownership. The Cook Islands charge a tax on trusts and this has become an important source of income for the islands. The trusts are also creating jobs on the island, which in turn generate tax revenue. Creditors seeking compensation from a Cook Island international trust must argue their case on the Cook Islands, under Cook Island’s law. So far, the Cook Islands have generally disregarded foreign court orders. This makes the Cook Islands different than jurisdictions such as the Cayman Islands, the British Virgin Islands and Switzerland. Prove that the transfer left you insolvent. Prove that the purpose of the transfer was to defeat the creditor’s claim. Prove the creditor’s case beyond reasonable doubt (same level of proof as required in criminal cases). Commence this legal action within a year of the transfer. Anyone who sues and loses may be required to pay the target’s legal fees. Before litigation can proceed, the creditor can therefore be required to post a bond to cover the cost of the target’s legal fees. To further discourage frivolous lawsuits, contingency-fee litigation is banned in the Cook Islands. As mentioned above, Cook Island is not your typical offshore banking haven. The Cook Islands are famous for their trusts, not for their banking services. Banking choices are limited, and trusts tend to hold their assets through banks and similar entities outside the Cook Islands. The Australia and New Zealand Banking Group (ANZ Bank) has an office in the Cook Islands, but is not eager to accept foreign depositors. 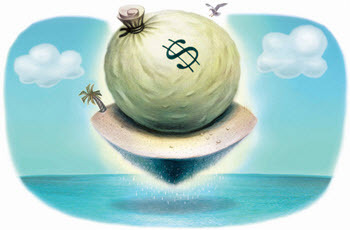 The Cook Islands are not a part of the New Zealand banking system. If you make a withdrawal here using your New Zealand bank account, expect to be the same charges as for a withdrawal from a European and North American bank account. The Cook Islands relies heavily on tourism, and also receives substantial amounts of foreign aid – especially from New Zealand and China. Remittances from emigrants are important for many families. Attempts at diversifying the economy with agriculture, mining and commercial fishing has met with varying success. The Cook Islands export small amounts of citrus and other tropical fruits, as well as pearls, clothing and handicrafts. 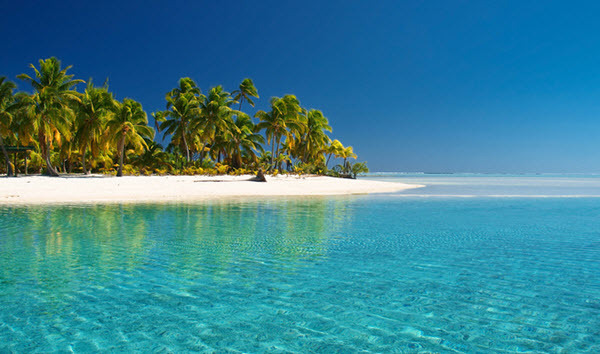 Since the late 1980s, The Cook Islands has been a location specialising in asset protection trusts. Taxes on trusts and trust employees now account for roughly 8% of the nation’s economy, which is more than what the whole fishing sector accounts for. The Cook Islands is a self-governing island country in free association with New Zealand. It consists of 15 islands in the Souther Pacific. The Cook Islands Exclusive Economic Zone (EEZ) covers 1.8 million square kilometres, but the actual land area of the Cook Islands is just 240 square kilometres. The Cook Islands was a New Zealand dependent territory until 1965 when it received self-governing status and Albert Henry of the Cook Islands Party was elected as its first Premier. Since then, the Cook Islands are an area of the Realm of New Zealand and Associated State. Among other things, this means that the Cook Island’s defence and foreign affairs are handled by New Zealand, in consultation with the Cook Islands. (Although, during recent years, the Cook Islands have adopted an increasingly independent foreign policy. UN recognition of independence in foreign relations was granted in 1992.) Just as for New Zealand, Queen Elizabeth II is the monarch of the Cook Islands. Cook Island nationals automatically get New Zealand citizenship. The largest population centre in Cook Island is the island of Rarotonga and this is also where you find the international airport. Bilingualism is very common in the Cook Islands. Over 85% of the population speaks English and over 75% of the population speaks Māori.